Our animal husbandry experts with rich experiences and excellent techniques will provide all the necessary support to our customers. Our highly skilled staff with wide experiences and knowledge are conducing various studies on behalf of customers. We can help you prepare study plans that meets your objective. Please feel free to contact us. We provide a broad range of research reagents as well as biological specimens including blood products, human tissue-derived products, primary cells including hepatocytes and so on. We provide customers support for design/remodeling of their experimental animal facilities or education/training of technicians as well as answer any questions or help address any challenges about daily operation. We can prepare various acute and chronic animal models of pain, and evaluate the effects of test substances. We prepare various dermatitis models such as atopic dermatitis, acute and chronic nasal allergy and itching, and evaluate the anti-allergic effects of test substances using those models. We prepare tumor-bearing models of rats and mice in which cancer cells from mice, rats or humans are subcutaneously or intradermally transplanted to each organ including the brain or intravascularly, and the antitumor effects are evaluated. We also conduct in vitro antitumor studies, and only supply tumor-bearing models of mice. We conduct teratoma formation study, tumorigenicity study, and transplantation study of iPS cell/stem cell-derived differentiated cells. We also supply transplantation animals. We conduct studies with various lifestyle disease models such as blood pressure, obesity, hyperlipidemia, and diabetes. We conduct studies with dementia, anxiety, neurosis, and depression models by using various equipment such as maze. We can also conduct anti-stress studies using stomach injury. We conduct a collagen arthritis model study by using paw edema as an index (chronic) and a carrageenan-induced model (acute). We conduct single-dose toxicity studies (mice, rat), repeated-dose toxicity studies (rat), local irritation studies (rabbit), and sensitization studies. We also conduct pharmacokinetic (PK) and toxicokinetic (TK) studies with various time schedules. We conduct various studies with dogs and pigs. Since we handle experimental pigs produced by ZEN-NOH, we can supply experimental pigs as well according to your needs. It is useful for surgery training or pilot study of medical equipment. You can rent our animal facilities for your studies with mice, rats, rabbits, guinea pigs, dogs, and pigs. In addition, we can flexibly meet your demands for experimental support by our staff, use of experimental equipment or consumables. Furthermore, you are allowed to bring in your equipment. We conduct cytotoxicity studies (e.g., WST-8 method, trypan blue method, and light emission assay) with cell lines such as cancer cells and primary cultured cells. We can supply cells under culture conditions and accommodate a request for mass culture. We prepare monoclonal antibodies from production cells. We conduct antibody purification operations at a small or large scale by using Protein A column from ascites or culture supernatant. We prepare KO (knockout) mice or rats and KI (knock in) mice or rats with genome editing tools. We can conduct breeding of genetically modified animals or pathophysiological animal models (mice, rats) provided from customers. We can also supply bred animals at stated periods. We prepare genetically modified animals or pathological animal models under the SPF condition through cleaning via in vitro fertilization (IVF) or caesarean section. We prepare frozen embryos and sperms of genetically modified animals. We also provide storage services for customer’s frozen embryos and sperms. 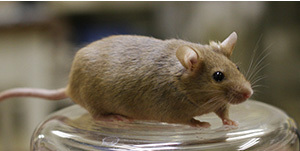 We revive animals from frozen embryos and sperms of genetically modified mice and rats. We conduct genotyping of genetically modified animals. In order to maintain the environment, microbiology tests include pathogen microbial test, general microbial test facility disinfection, and environmental monitoring. In addition to preparation of standard histopathological specimens (paraffin embedded, frozen embedded), we prepare specimens of hard tissues such as bone and teeth and resin-embedded ground specimens for implant materials such as titan. Finally, we also prepare non-demineralized thin specimens.